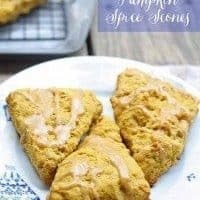 Pumpkin spice scones are so easy to make! 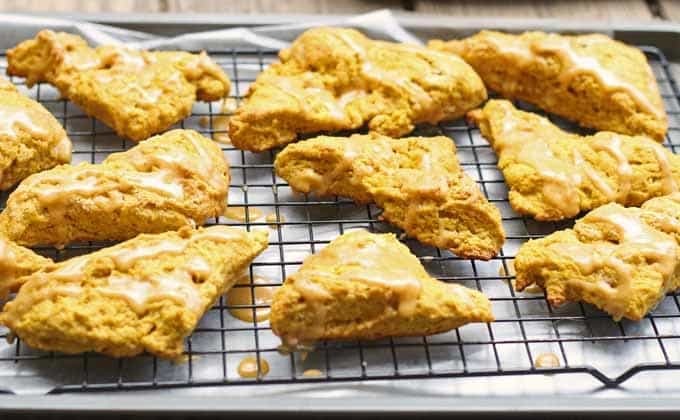 Check out this easy recipe for pumpkin spice scones and some scone making tips. The one thing that always makes the end of summer and the start of autumn more celebratory than sad for me is the introduction of pumpkin into everything. I am one of those people who love the flavors of pumpkin (and it’s spice) and no matter the saturation of it on blogs and in stores, it warms my heart. My oven also warms my heart, my kitchen and bakes me some delicious pumpkin goodies. I decided to share a pumpkin spice scone recipe and some tips on making scones for you today. Scone tips from my personal experience first. Don’t over mix. Your ingredients are combined when the dry ingredients are wet. Once they are wet, stop mixing. Sounds simple enough but it’s really easy to over mix. Flour everything. 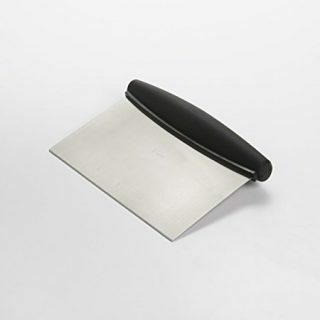 Make sure the surface you spread the dough out on is well floured, and flour the knife you use to cut the dough. If your dough is sticking to your surface, you need to flour it more. Same with your knife and same with your hands. Betty Crocker has a few more tips for you. So does About.com (their British and Irish food expert). 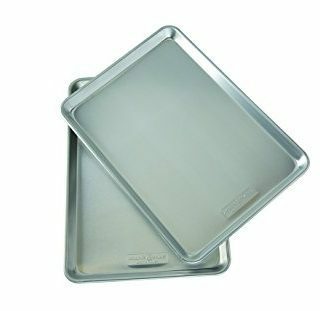 Move an oven rack to the top third of your oven and preheat oven to 400 degrees. 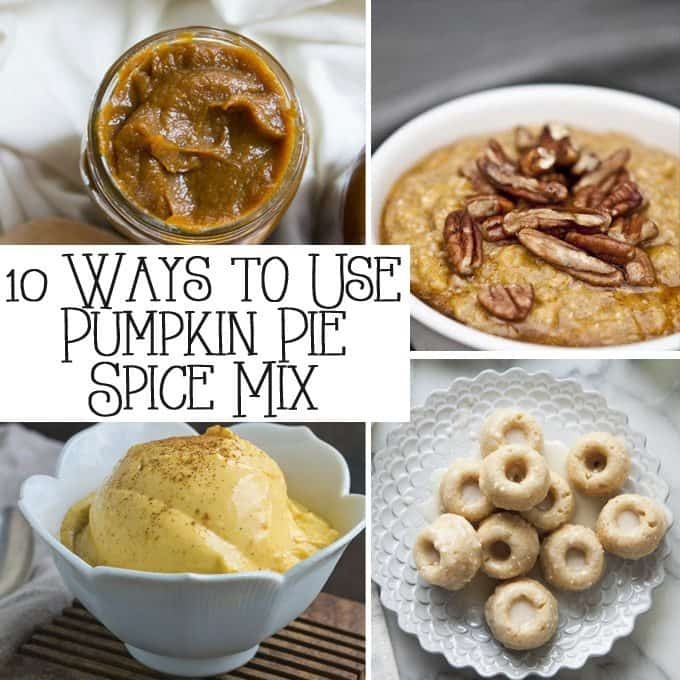 In a medium bowl, whisk together the flour, baking powder and pumpkin pie spice. Add the brown sugar and mix well. 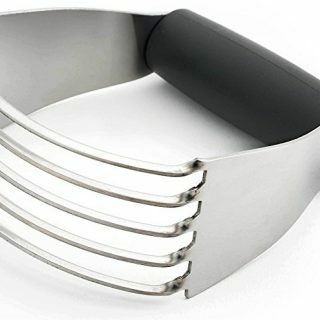 Using a pastry blender or two butter knives, add the butter to the flour mixture by cutting it in. Cut the butter until the pieces are the size of peas. Stir the pumpkin and cream into the bowl until just combined with the flour mixture. Flour your surface and pat the mixture into a square. Cut into 16 triangles and transfer to a baking sheet. Bake for 18-20 minutes or until the tops begin to brown. Transfer to a cooling rack. When cooled, drizzle Pumpkin Spice Glaze over the tops of the scones. In a small bow, combine the powdered sugar, heavy cream, pumpkin puree and pumpkin pie spice using a spoon. If after reading this, you’re in the mood to make more pumpkin spice things, check out my round-up of things to make with pumpkin pie spice! 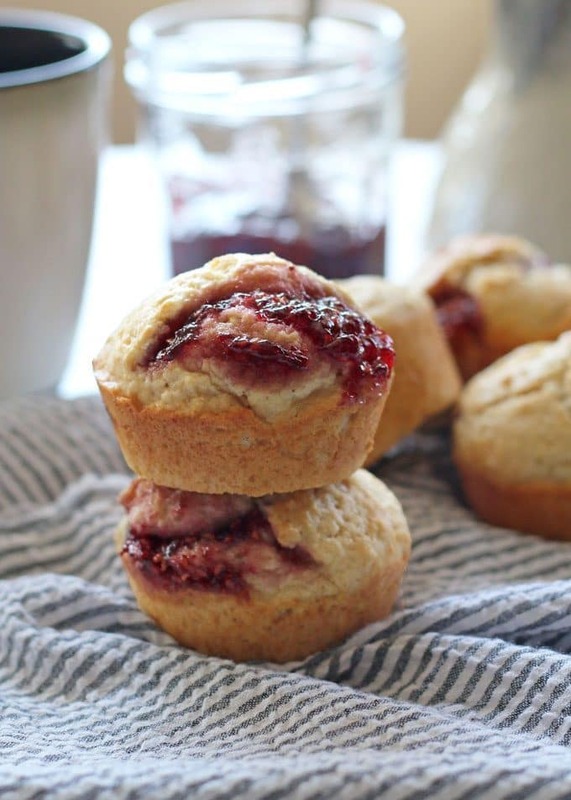 Looking for more scones and baked goods? I’m a pumpkin spice girl, too! Thanks for stopping by Christy! I love these, saw them on foodie.com delish! It is pumpkin time of year again. Theses would pair nicely with a Starbucks fall blend. It sure is – my second favorite time of year (next to Christmas!). These look so awesomely delicious! Like most, I LOVE pumpkin and eat it all year round. But I especially love it in the fall when I can make my own pumpkin puree. this year, someone from hubby’s work gave him huge baking pumpkins so I’m pumped! Can’t wait to make the scones!!! That’s awesome! I really want to try baking a whole pumpkin in the oven, with chili inside! Those came out great!I love Pumpkin anything! 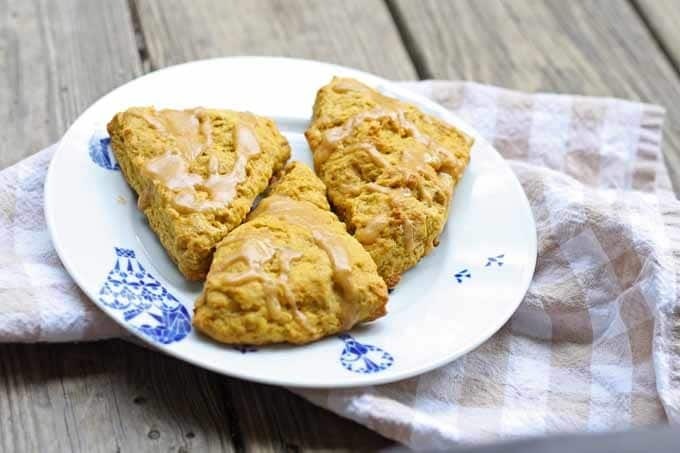 Every year I grow sugar pumpkins in the garden for recipes like your Pumpkin Spice Scones. They are such a treat with my morning Coffee. Thank you for sharing your recipe at Foodie Fridays. Sharing the love. Thank Shari! 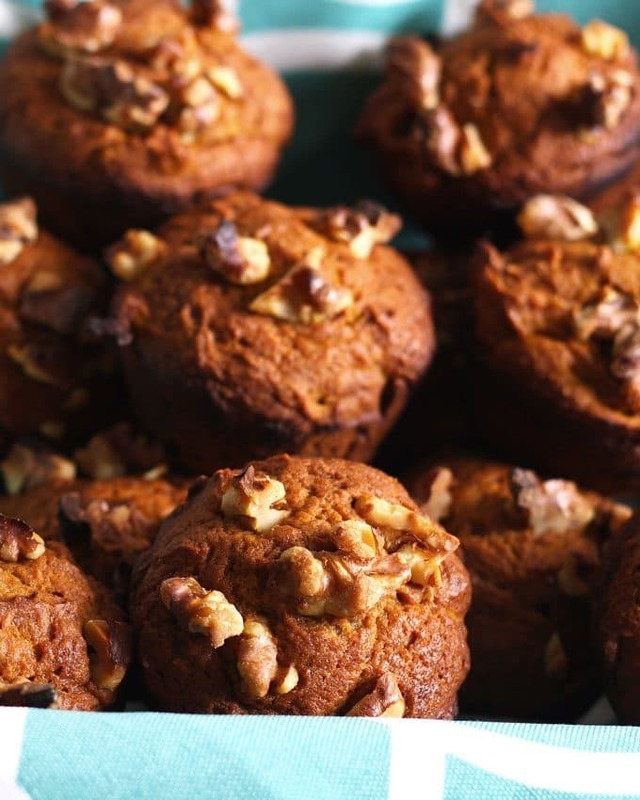 And thank you for including this recipe in your pumpkinfest roundup! These are calling my name! I need to make some. Oooh these look lovely! 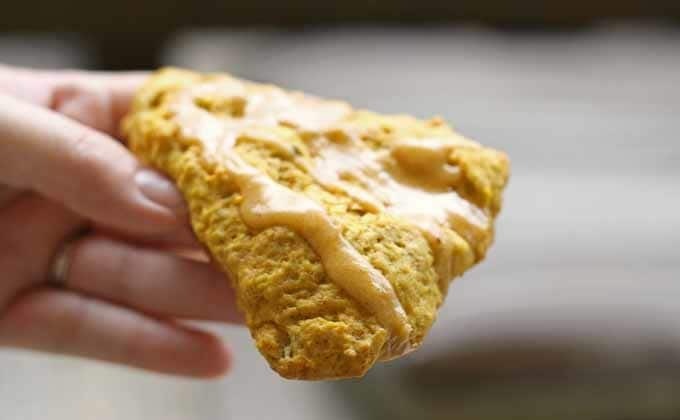 My husband loves pumpkin scones, I need to get my act together and make some! can you believe i have nnever tried pumpkin other than in a pure? i would think it is a delicious fish…. They are not overly pumpkiny so I think you’ll like them! These look yummy! I pinned this recipe, maybe this weekend I can make some. Thanks for the recipe and the tips! ooo these look so yummy! Thanks for the recipe and tips! I love pumpkin anything in the Fall. These look amazing! Tis the fall season – leaves falling…brisk air – cold nose/cheeks – entering the house with the expectation of hot chocolate and a PUMPKIN confection – a new recipe to add to my *SAMPLE & REVIEW* – hey, it’s what is expected of me by my little 10 year old pumpkin lover Evan. 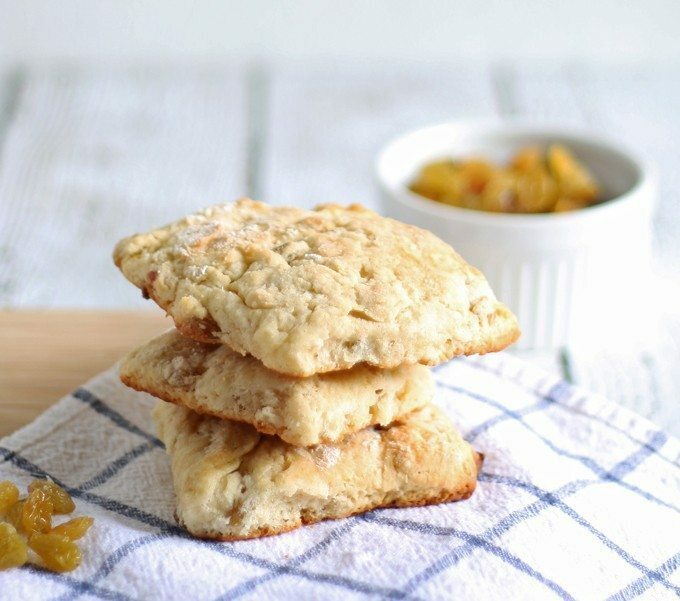 I love scones and these really sound like fall!! Gotta try these (Pinned) Thanks for sharing on the What’s for Dinner Link up! 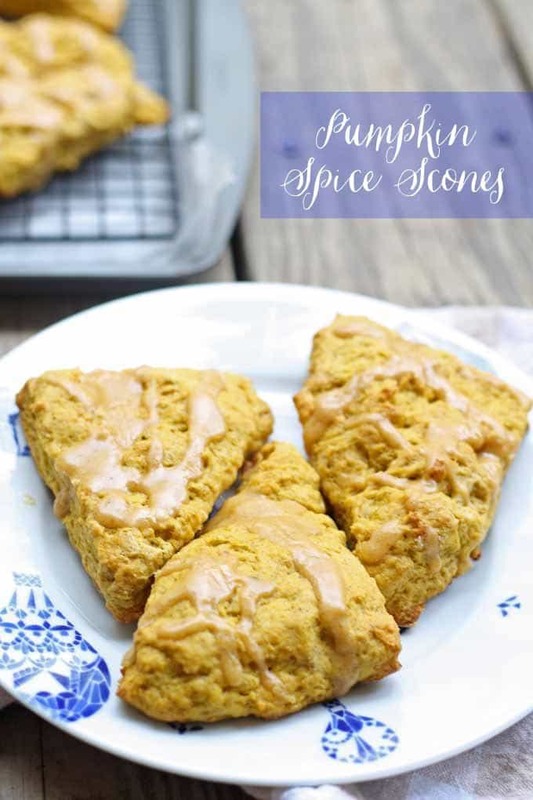 Love scones & love pumpkins~ this is perfect!